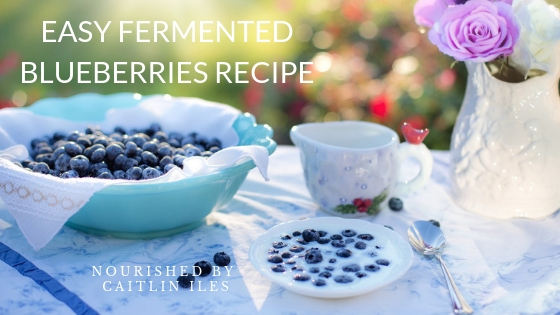 This recipe can be adapted to make use of any berry you want to preserve for fresh deliciousness all winter long! It tastes great on homemade coconut milk yogurt, sprinkled onto salads, or eaten by the spoonful. You can also use the liquid in salad dressings! Add all ingredients to a 500ml mason jar and stir to combine. Lightly mash the blueberries with the handle of a wooden spoon. Place a piece of parchment paper over the mouth of the jar then seal with the lid. Place on the counter for 7 days (you may want to stir the berries with a clean wooden spoon every couple of days) then move to the fridge and enjoy!